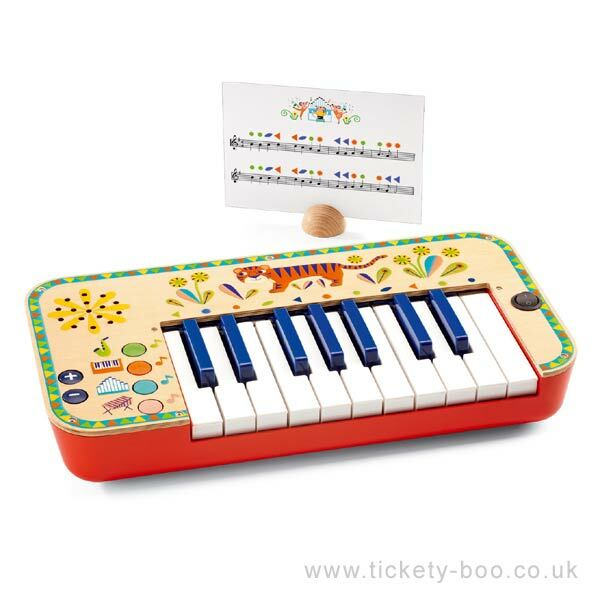 Junior keyboard for early piano skills. 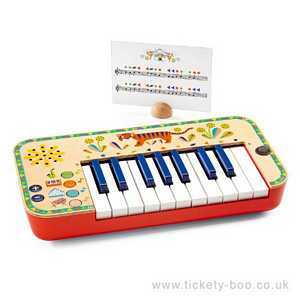 Switch between Organ, Piano, Saxophone and Vibraphone sounds on this handy portable synthesizer. Includes 4 sheets of music. Requires 4 LR6 batteries -not included.